What is Cisco IWAN, and where did it go? The goal of SD-WAN was to stay competitive in the quickly expanding market of performance routing. While this was not a new idea, the deployment and go to market strategy allowed SD-WAN to be sold to the masses. When Cisco pioneered SD-WAN and launch IWAN in May 2016, they tried bolting existing router services together, including DMVPN and WAAS, and labeling it IWAN. This was a feature set available on many Cisco routers from the 800 series through to the newer ISR 4000 series. The caveat being, only the 4000 series had the full capabilities of IWAN. It was a good first attempt, leveraging strengths from their world-renowned routers and allowing the adoption from their existing customer base. Or at least those who forked over the money for the new 4000 series with required licenses were under that impression. Cisco failed to implement a central management for IWAN and instead tried to engineer an easier way to deploy the solution. Unfortunately, even with the updates to IWAN, it still required someone with an understanding of Cisco CLI to deploy the solution. The Cisco CLI is the command line interface, where an engineer would configure the Cisco routers and setup IWAN. Not exactly what you expect in an SD-WAN environment with no ease of deployment, the key benefit famously touted by the other SD-WAN solution providers. As you should be aware, Cisco is all-in with SD-WAN. Aside from IWAN, Cisco invested $27mm in VeloCloud, purchased Viptela in August 2017 and also operates SD-WAN through Meraki, an independent arm of Cisco. VeloCloud is built from the ground up and leverages a cloud gateway to maximize end user experience to cloud applications. Furthermore, it allows for link aggregation, application visibility/control and near instant failover all under a central management and reporting portal. The reliability, ease of use and advanced portal quickly made it a fan fav. Viptela was also built from the ground up, but by former Cisco engineers and quickly acquired by Cisco. The tried and tested solution is capable of scaling well into the thousands without the use of Cisco engineers. Complete with a cloud portal and actual ease of management and deployment, this platform is the new baseline for Cisco. Cisco is taking the Viptela software and building it into the Cisco router operating systems (IOS) as an activation feature. Moving forward we can expect to see the new branding of Cisco SD-WAN, and a list of hardware supporting the new subscription licenses. This hardware will include the successors to the 800 series – 1100 series ISR, more information to come in the future. Meraki launched their attempt at SD-WAN in Q2 2017 and was a closer iteration to SD-WAN (opposed to IWAN), leveraging the insanely popular Meraki Dashboard as a centrally managed portal for management and analytics. The Meraki dashboard has a cult following, me included, with its easy to deploy equipment, sleek design and intuitive web portal. The portal offers the ability to log in to confirm there are no issues, this is great for when my wife complains about the internet connection. Now Meraki proactively alerts you via email if there is any issue. Pretty soon, I am going to schedule those emails to go straight to her! You see where I am going here? Another SD-WAN offering, under Cisco ownership, with easier deployment, management and analytics. Do you still wonder what happened to IWAN? Since SD-WAN started making a name for itself in the channel, there have been many iterations to the solution and its evolution has been drastic considering its short timeframe in the marketplace. With all these changes, utilizing Solutions Engineers, like myself, for sales becomes more helpful in differentiating each solution. TBI has many resources at your disposal for successfully incorporating SD-WAN into your portfolio. 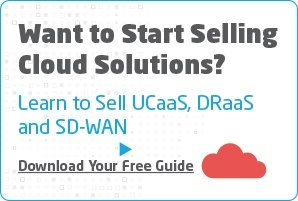 Reach out to me, download our comparison guide or take either of our trainings on the University of TBI , TBI is here to help understand SD-WAN, how to sell it and how to identify the right solution for your customers’ needs. We have your back. Joe Fizor is a Solutions Engineer at TBI. Joe provides technical and vendor-agnostic expertise to partners and customers on cloud, hosted voice, network (including SD-WAN), colocation, security and more. Joe’s support extends beyond consultation/discovery with partners and end-users but also collaborates with vendors to ensure design and implementation needs are met. Prior to TBI, Joe worked in the VAR space, designing enterprise networking solutions: security, routing, switching, wireless and collaboration. His certifications include: CCNA, CCDA, Cisco Meraki Network Associate, Palo Alto Networks, Palo Alto Accredited Sales Expert, Palo Alto Accredited Configuration Engineer, RingCentral, Veeam, Rackspace, AWS. 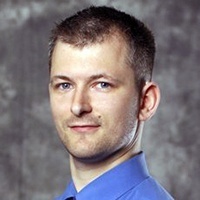 You can contact Joe at jfizor@tbicom.com or connect with him on LinkedIn.